Bamboo is known for its ability to grow rapidly, although the rate of growth does vary between species. In addition, running bamboo grows more quickly than clumping bamboo, which does not spread as fast as running bamboo, but rather grows in thick clumps. 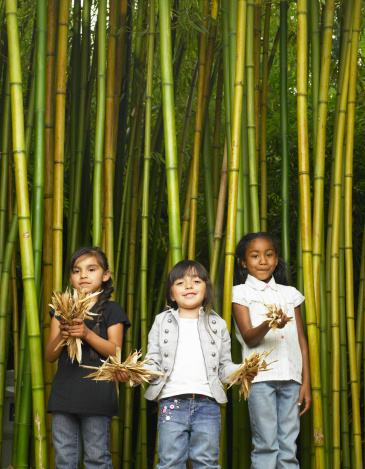 The best way to make bamboo grow faster is to make sure the conditions are optimum for growth. The bamboo will do the rest of the work. Make sure the bamboo is exposed to the right amount of sunlight. 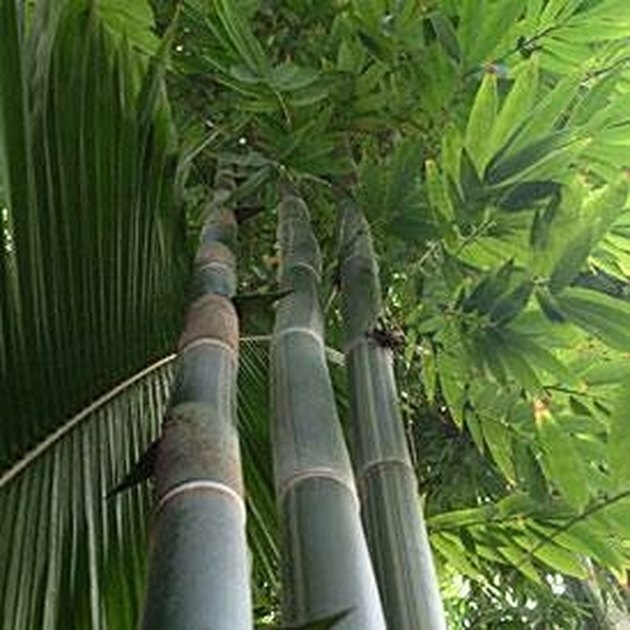 Too much direct, bright sunlight will make most varieties of bamboo too hot and will stunt growth. Instead, make sure your bamboo plant gets partial shade but is still receiving 4 to 6 hours of sunlight per day. Diffuse the sunlight. If your bamboo is exposed to direct sunlight all day, diffuse it by adding a barrier or something that will produce shade, such as a patio umbrella or lattice. Check the soil. Bamboo does best in well-drained soil. It likes the soil to be slightly moist at all times, but never soggy. If the water is just right, your bamboo will grow more quickly. Make sure your bamboo is getting water at least once a week and more than that during hot weather. Also make sure your bamboo is not sitting in soggy soil. Support the bamboo. Because bamboo grows so tall so quickly, it tends to be vulnerable to strong winds or pelting rain and hail, which will bend it down and cause it to slow its rapid rate of growth. If you live in an area that has such conditions, protect your bamboo with shelter such as a wall or fence. Feed your bamboo a high-nitrogen fertilizer, following the directions on the container to make it grow quicker.